We thought this hike would be 21 km but it was really around 16 km. 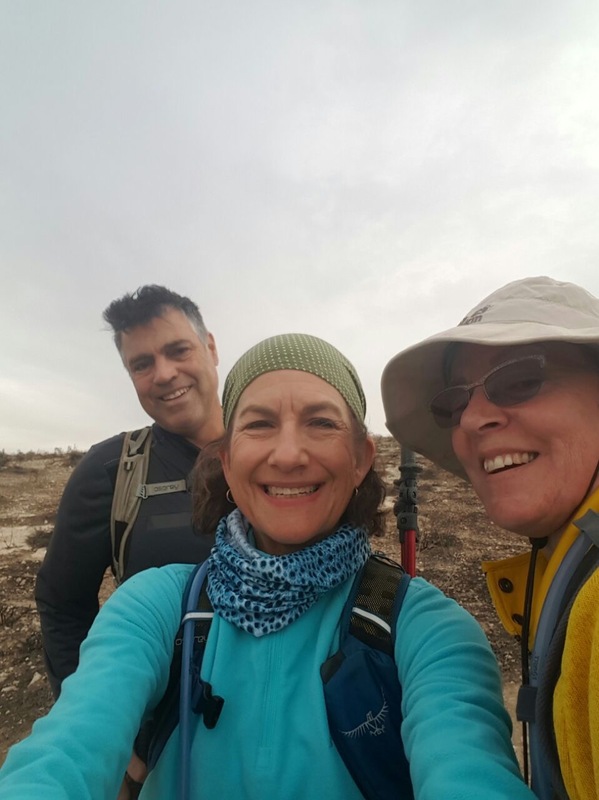 All in all, it was an easy, although windy, sand-blown hike of many gentle ascents and descents. This is where you see the start the beginning of the Negev Desert. 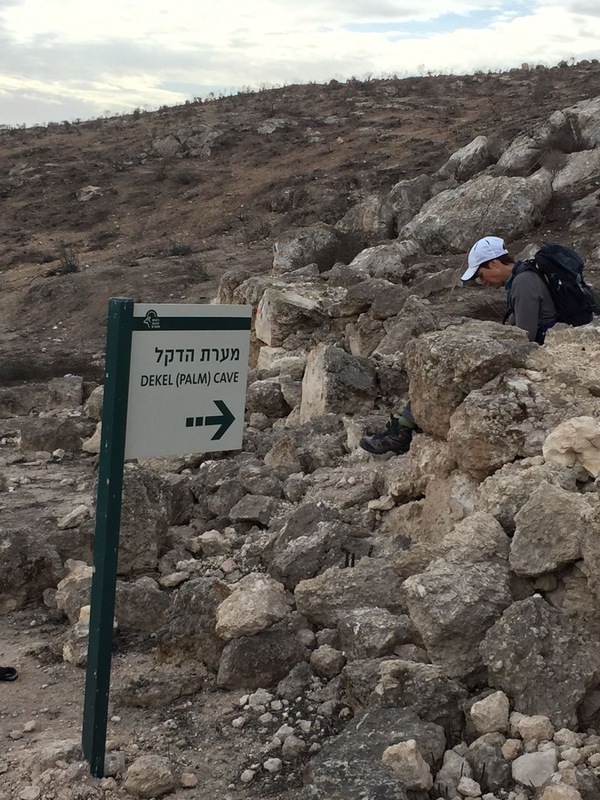 We started out at Devira, leaving the kibbutz behind us and walking uphill into a forest, then onward to route 3255. This is a small road filled with large trucks going back and forth to a nearby quarry. 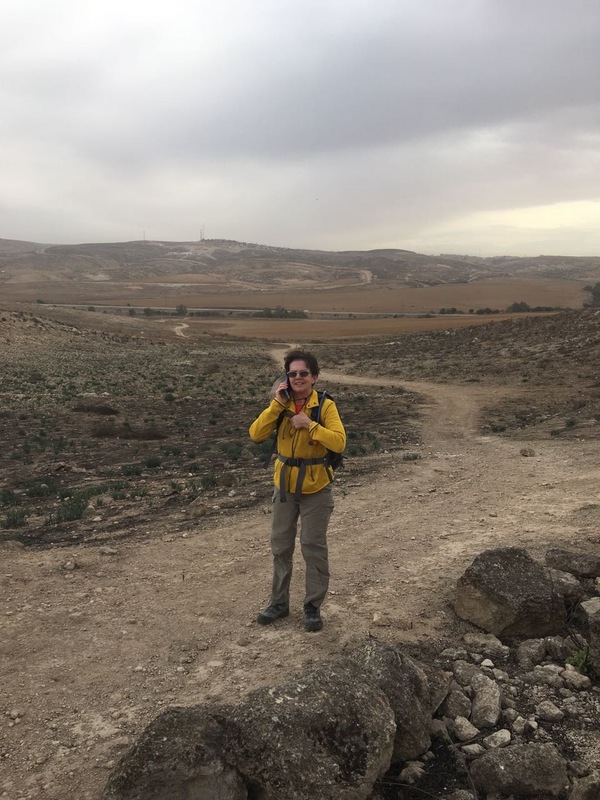 We then walked uphill face on into the gusting wind and were relieved when we were finally sheltered by the trees of the Lahav Forest Nature Reserve. This forest was first planted in 1952 and now there are over 3 million trees here on the ridges and slopes. 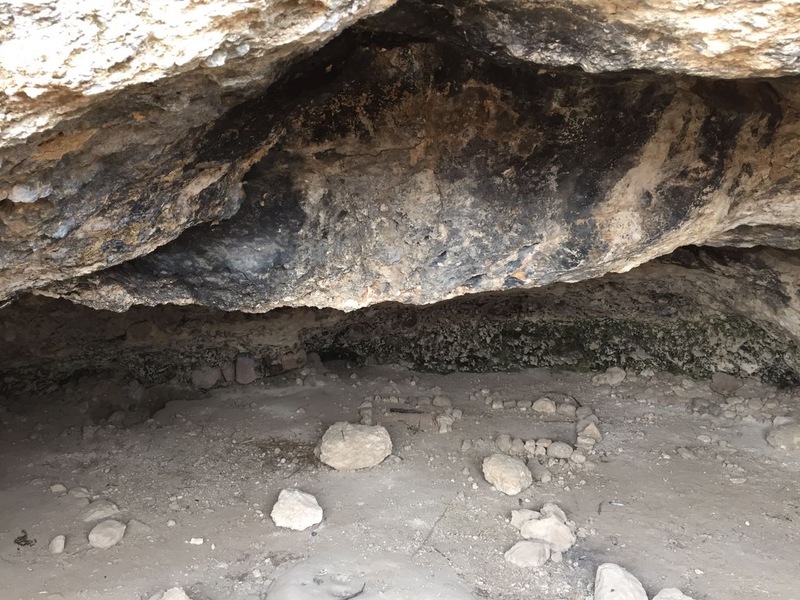 There we were was supposed to have seen Rimon Ruins with remains of a mikveh and synagogue dating from the second temple era, but maybe we were too focused on not being blown away as we missed this. A fire must have once ravaged these hills as black, burnt patches made the terrain more forlorn. 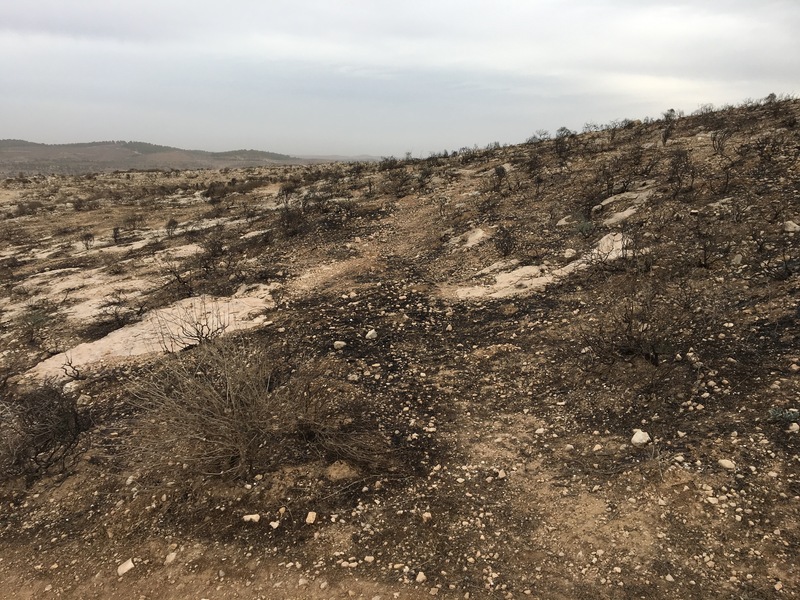 Despite being late November and supposedly Israel’s rainy season, the ground was still parched from the hot summer. Despite there being just one small rainfall this season, tiny crocus like plants were breaking through the tough caked soil. We did not see any animals and did not hear any birds the whole day. We continued following a dusty path uphill. The wind was blowing so hard, even the click of our hiking poles created mini clouds. And the higher we went, the more the wind pommeled us. We lost the trail and our group split up, looking for the lost trail. 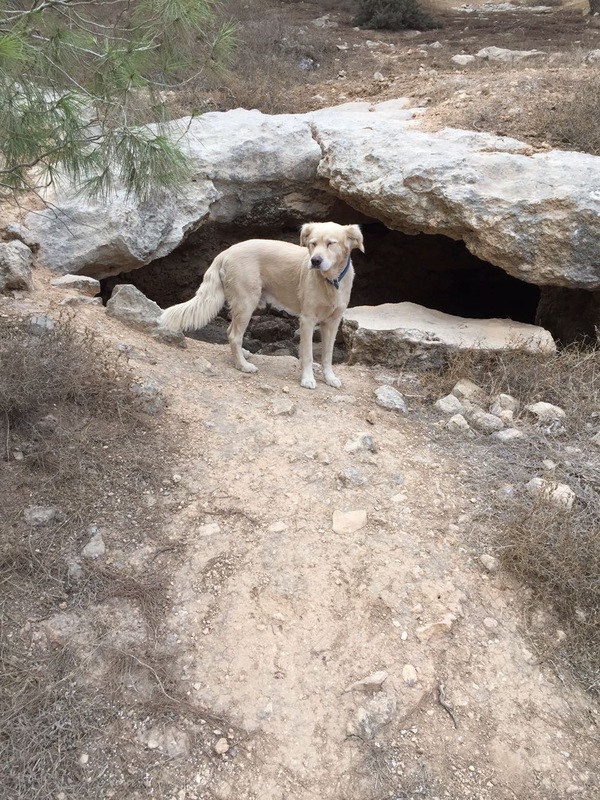 When we found the trail we discovered the Dekel Cave, a large cave with a huge palm tree growing out of the entrance. This unusual tree with a blackened trunk was also not spared from the fire. We finally met up with the lost portion of the group outside Kibbutz Lahav. Here the wind howled and whistled through the animal coops. We did not see one person around save for a tractor that blew dust into our faces as it passed. 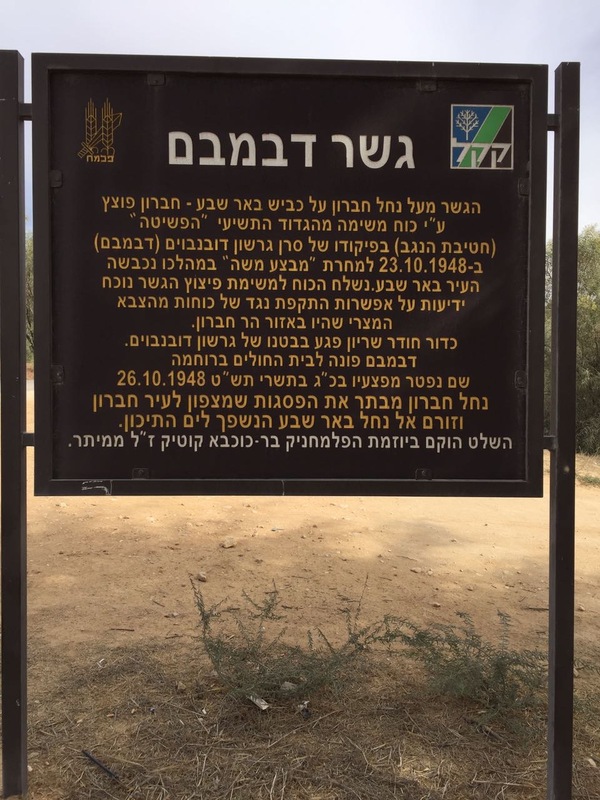 Apparently Kibbutz Lahav is also the location of the Joe Alon Center and Bedouin Heritage Museum. I did not see any signs (or maybe we were not being too attentive) as we missed that too! We crossed a road and then headed uphill into a forest where we had clear views of the security barrier and the hills of Hebron. We passed right outside the gate of Sansana. Apparently this community goes right over the Green Line so parts of it are considered to be a ‘settlement.’ There was a lot of construction going on – new houses, road building and paving. We hiked on into the Meitar forest where we ended at 12:30, surprisingly early. At the edge of this forest, land has been cleared to make way for a subdivision of huge, brand new homes, part of the expanding Meitar. Maya and Mel, who live in Meitar and who had been hiking with us, gave us a tour of this beautiful town. We visited their home and were offered an upsidedown stretch on their Batman device. This was a great way to relax those tired muscles before our drive back north to Ra’anana. 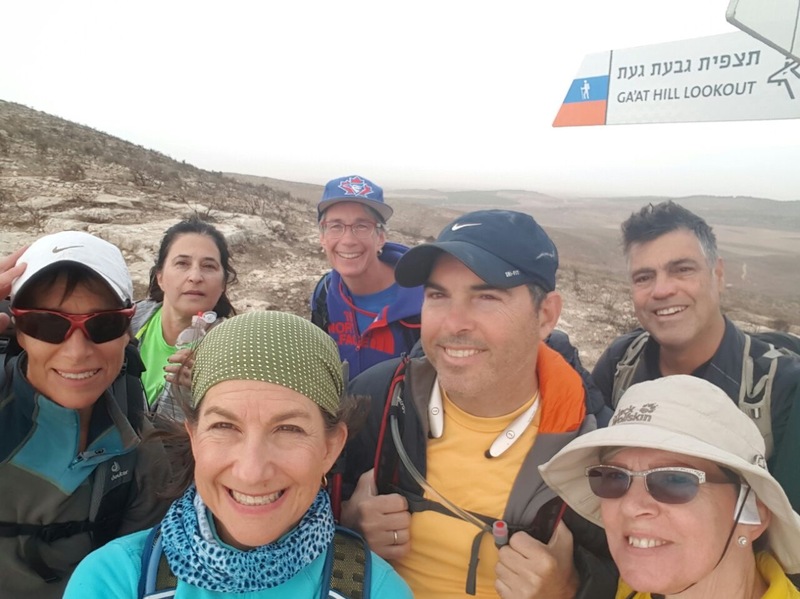 This was a beautiful, easy, albeit windy hike and a glimpse into how rocky desert hills have been transformed to forest and parkland, and into beautiful Israeli neighbourhoods.